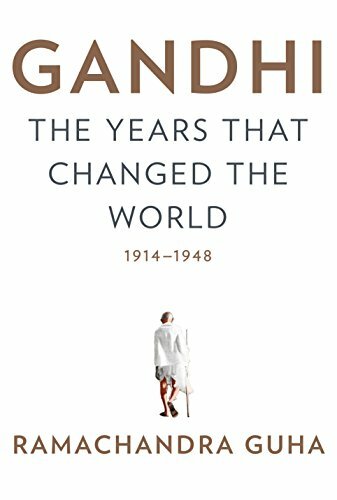 The second and concluding volume of the magisterial biography that began with the acclaimed, Gandhi Before India: the definitive portrait of the life and work of one of the most abidingly influential--and controversial--men in world history. This volume opens with Mohandas Gandhi's arrival in Bombay in January 1915 and takes us through his epic struggles over the next three decades: to deliver India from British rule, to forge harmonious relations between India's Hindu and Muslim populations, to end the pernicious Hindu practice of untouchability, and to develop India's economic and moral self-reliance. We see how in each of these campaigns, Gandhi adapted methods of nonviolence--strikes, marches, fasts--that successfully challenged British authority, religious orthodoxy, social customs, and would influence non-violent, revolutionary movements throughout the world. In reconstructing Gandhi's life and work, Ramachandra Guha has drawn on sixty different archival collections, the most significant among them, a previously unavailable collection of papers belonging to Gandhi himself. Using this wealth of material, Guha creates a portrait of Gandhi and of those closest to him--family, friends, political and social leaders--that illuminates the complexity inside his thinking, his motives, his actions and their outcomes as he engaged with every important aspect of social and public life in the India of his time.